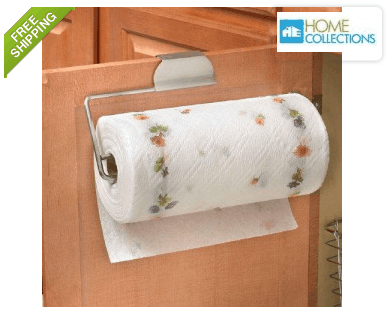 Home Collections Cabinet or Drawer Paper Towel Holder ONLY $8.99 + FREE Shipping (was $30)! You are here: Home / Great Deals / Home Collections Cabinet or Drawer Paper Towel Holder ONLY $8.99 + FREE Shipping (was $30)! This is brilliant for all of us who love a clutter-free counter look (or don’t like it hanging from the cabinet)! Right now we can snag this nifty Home Collections Cabinet or Drawer Paper Towel Holder for ONLY $8.99 + FREE Shipping (was $30)!